Laura Robson is a professor of modern Middle Eastern history at Portland State University in Portland, Oregon. Her most recent books are States of Separation: Transfer, Partition, and the Making of the Modern Middle East (University of California Press, 2017), which explores the history of forced migration, population exchange, and refugee resettlement in Iraq, Syria, and Palestine during the interwar period, and the just-published edited volume Partitions: A Transnational History of 20th Century Territorial Separatism (with Arie Dubnov; Stanford University Press, 2019), which explores the emergence and consequences of the political “solution” of partition in the twentieth century world. She is also the author of Colonialism and Christianity in Mandate Palestine (2011) and editor of Minorities and the Modern Arab World: New Perspectives (2016). In the fall of 2018, Donald Trump announced he would withdraw from the American commitment to provide some $300 million to the United Nations Relief and Works Agency. 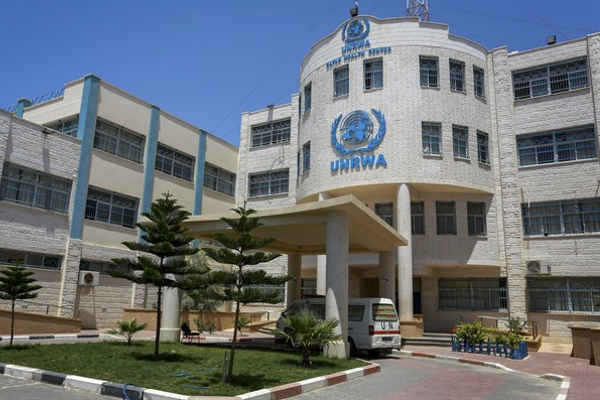 UNWRA was set up in 1949 as the only UN institution dealing solely with the Palestinian refugee crisis. It has since become one of the UN’s largest organizations, employing some 30,000 people and operating more than 700 schools for Palestinian refugees as well as a wide variety of other social services in camps and settlements across the Arab world. By its own accounting, its services reach more than 3.5 million people, a majority of the 5.1 million registered “Palestine refugees” on the UN’s books. Largely as a consequence of Trump’s decision to withhold funding, UNRWA is currently facing a major financial crisis that has brought into question whether many of the schools, clinics, and supply centers it runs will reopen in the fall of 2019. Clapp proposed a series of land development schemes, backed by American private investment, that would simultaneously create livable space for the refugees in Jordan and Gaza (thus preempting their uncontrolled movement into Israel or around the region) and offer venues for American money, advice, and interests to infiltrate the Middle East. For the Eisenhower administration, it seemed that UNRWA represented an opportunity to press for a new US-led political and economic order across the region. John Davis, the American head of UNRWA in the early 1960s, summed up what the organization was doing even more succinctly: “UNRWA was one of the prices – and perhaps the cheapest – that the international community was paying for not having been able to solve with equity the political problems of the refugee.” He added, “It was surely well worth the cost.” In the decades since, this political calculation continued to form the backbone of American support for UNRWA. American leaders were not interested in it as a crucial humanitarian obligation, but as a security mechanism. In the absence of an institutional frame keeping Palestinian refugees in confined spaces, American leaders believed, Palestinians could rapidly cause political chaos, threatening not only the security of Israel but the stability of the region in general – including American access to Gulf oil piped through the refugee-heavy regions of Jordan, Lebanon, and Syria. For decades, support for UNRWA was conceived of as an action of American self-interest, not of Palestinian relief. The current administration’s reversal of this longstanding approach suggests less a changed set of American political alignments in Palestine/Israel than an unwillingness – or incapacity – to see the longstanding realpolitikcalculations behind an apparent commitment to humanitarian aid. And perhaps it won’t matter much in the end; because there are other actors who worry that the dissolution of UNRWA would threaten their political stability and economic interests, and are willing to shell out to avoid such a risk. At last accounting, UNRWA commissioner general Pierre Krahenbuhl reported that the $300 million shortfall caused by the US withdrawal of funds had been reduced to about $21 million, thanks to a series of emergency donations. He wished especially, he noted in a press conference, to thank the four donors who had collectively nearly made up the difference: Kuwait, Qatar, the United Arab Emirates, and Saudi Arabia.